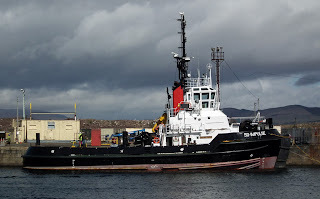 Serco's SD Reliable in the Gareloch 02 May 2013. 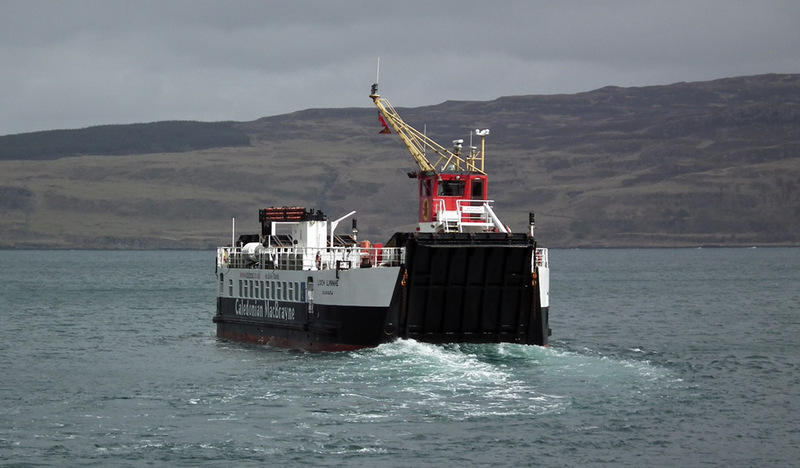 ClydeNavalGazing correspondent Gordon Law provided this shot of Hebrides at Brodick during relief duties 14 January 2013. ClydeNavalGazing correspondent Gordon Law has been in touch with pictures of the launch day of Caledonian Macbrayne's latest vessel, Hallaig 17 December 2012. On the stocks in Ferguson's Yard. 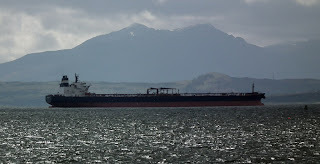 A first sighting of Lord of the Glens in 2013, 23 April. 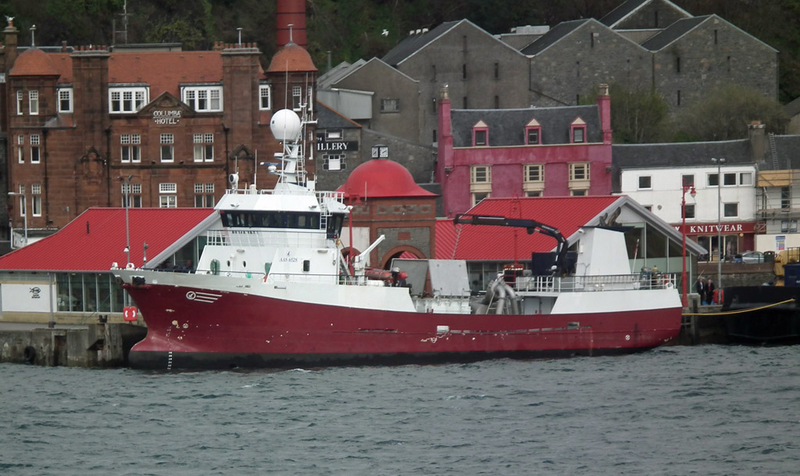 Live fish carrier Ronja Skye at Oban North Pier 23 April 2013. 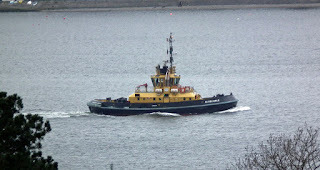 Coaster Nathalie inbound 21 April 2013. 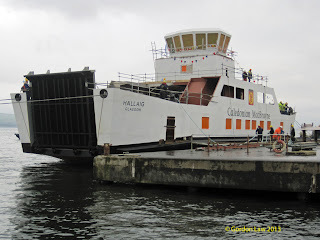 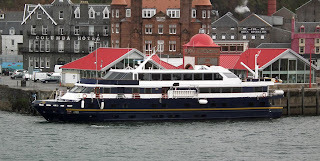 Apropos to nothing, Caledonian Macbrayne's Isle of Mull arrives at Oban 21 April 2013. 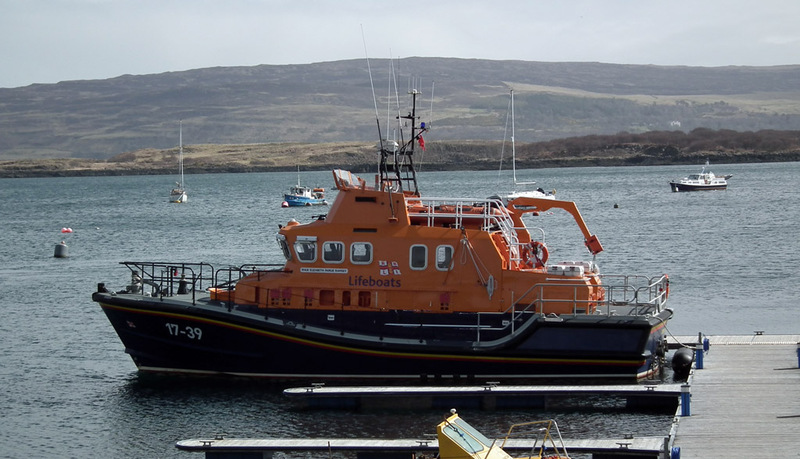 Facilitating training by the Southern Diving Unit, based in Plymouth; and the RN Bomb Disposal Squad, Serco's dive support vessel SD Moorfowl in Oban Bay 22 April 2013. Live fish carrier Viktoria Viking in Loch Linnhe 22 April 2013. Seatrans paper carrier Trans Dania in the Sound of Mull heading for Belfast 23 April 2013. 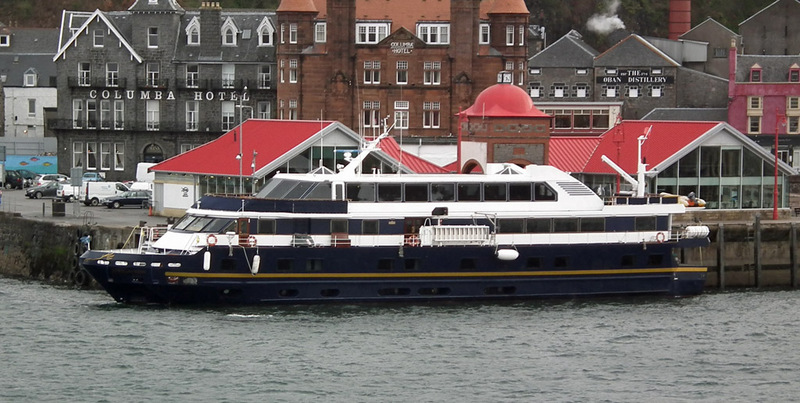 The odd hue is added via the tinted coach windows! 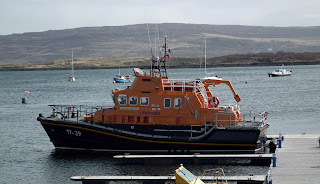 RNLB Elizabeth Fairlie Ramsey (17-39) lies at the THA pontoons 23 April 2013. 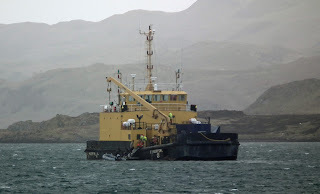 Loch Linnhe leaves Tobermory for Kilchoan 23 April 2013. 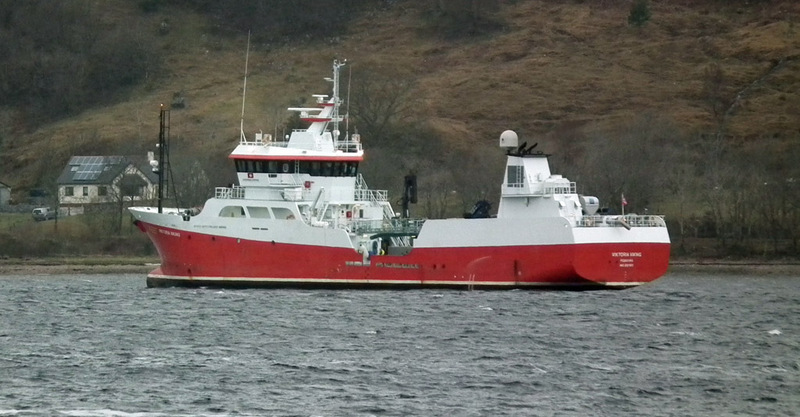 Tanker Seahorse lies below the Sleeping Warrior 25 April 2013. 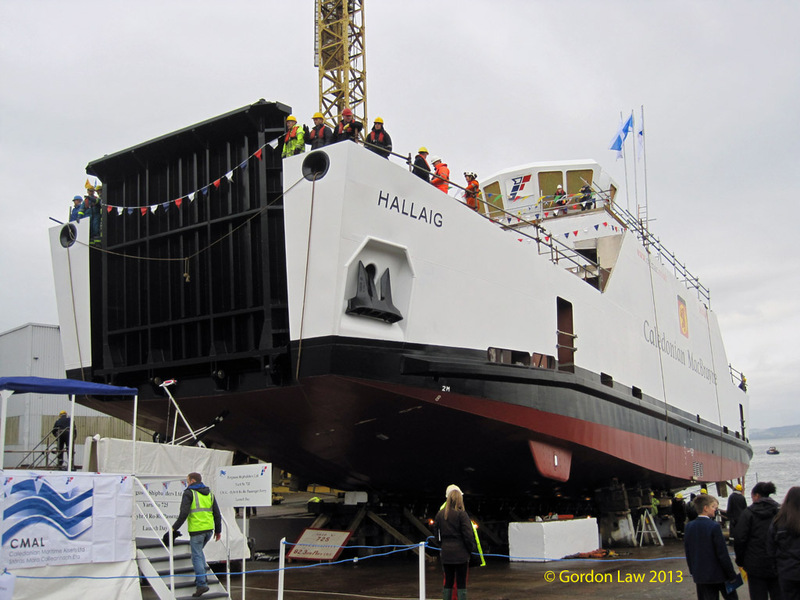 SD Impulse remaining in JWD following serious issues with her generators and governors 25 April 2013- sounds expensive! At least the delay allowed for the paint job, which, it is understood, is already returning to buff! 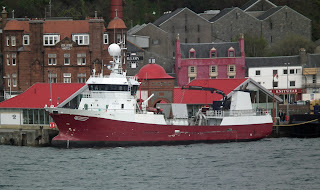 Impulse returned to Service 26 April.